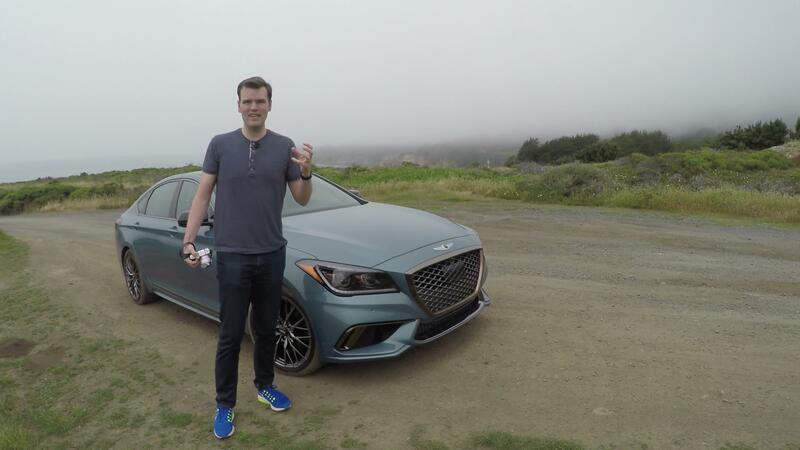 Startup and established automakers alike have been waking up to — and embracing — the idea that electrification doesn't have to be just about efficiency. There's a huge performance potential for electric vehicles, a fact that Tesla has capitalized on, and other brands are following suit. 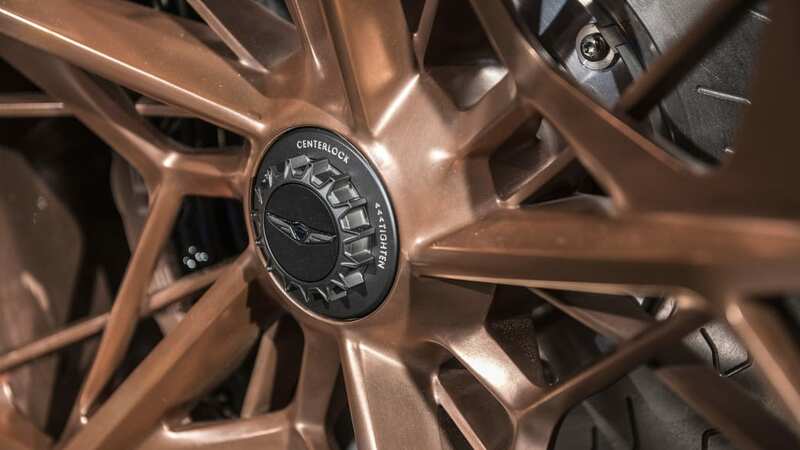 Korean luxury car manufacturer Genesis is the latest to join the party with the unveiling of its Essentia grand touring EV concept at the New York Auto Show. 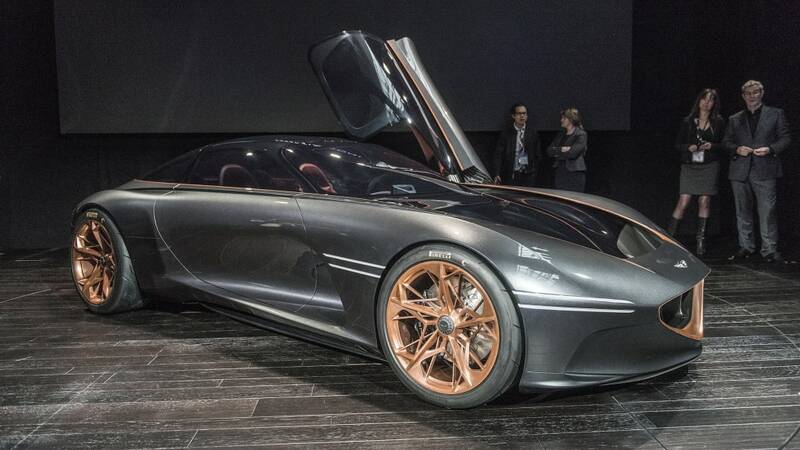 It embodies the GT format well, with a long hood, a low, swoopy roofline and an upscale interior. 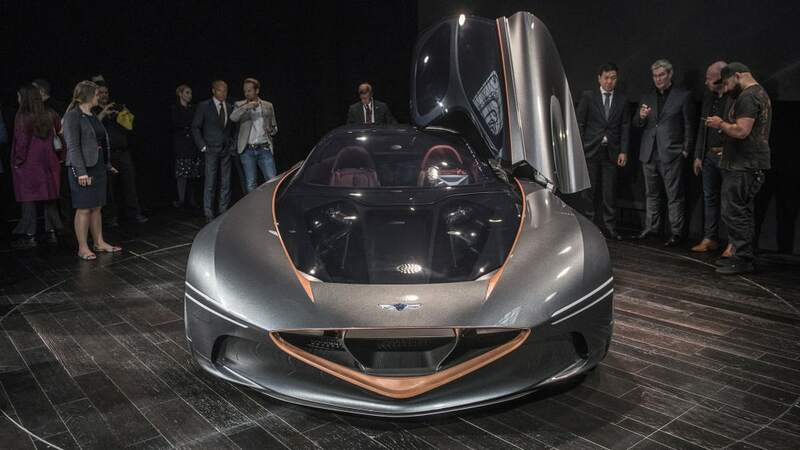 The Essentia features a carbon fiber monocoque, with the chassis visible through the transparent hood. 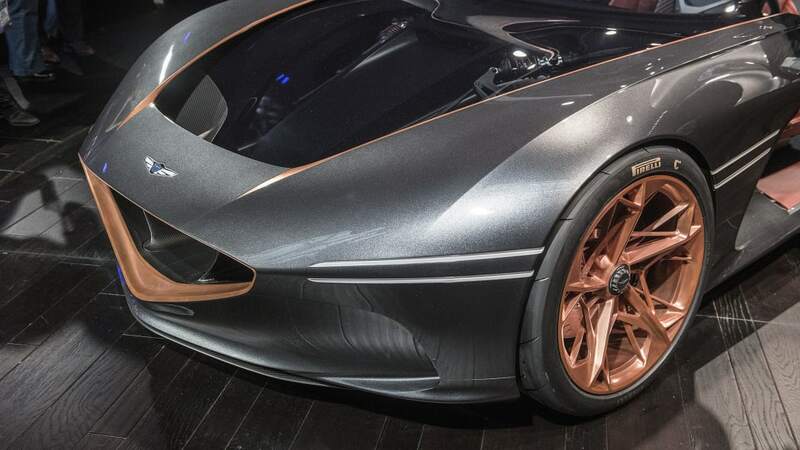 Aerodynamics heavily inform the look of the car, from the nose cone to the air curtains and the giant functional air outlets behind the front wheels. The car ends abruptly above a large rear diffuser. 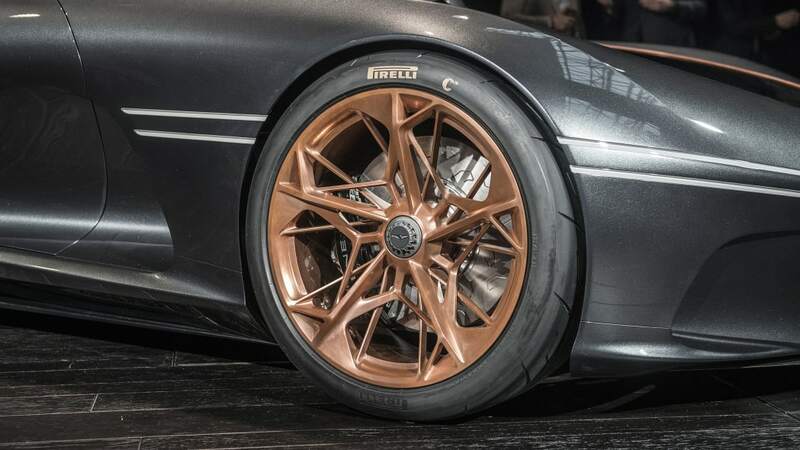 The copper color of the wheels is repeated in a strip surrounding the Essentia's glasshouse. 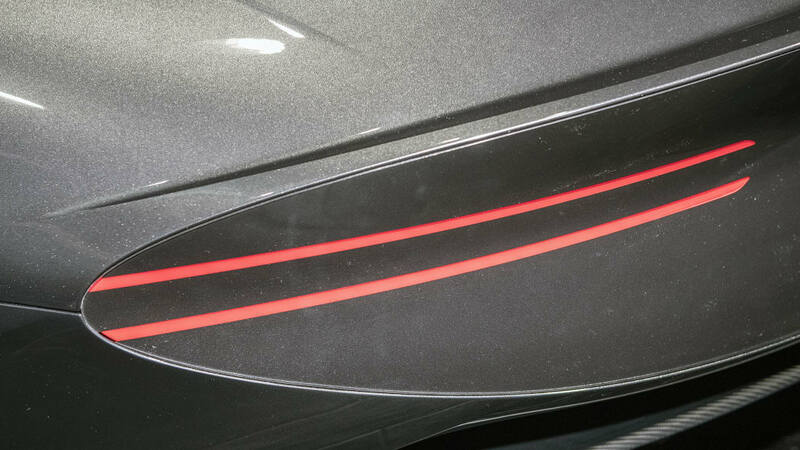 Genesis includes thin, laser optical headlights that extend along the side of the car aft of the front wheels, with their double-line look repeated in the rear lighting. 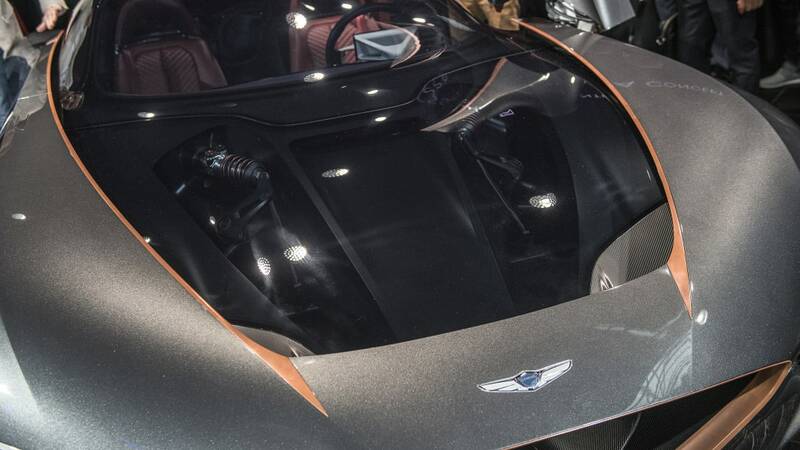 It tops off the visual package with butterfly doors that open via fingerprint and facial recognition sensors. 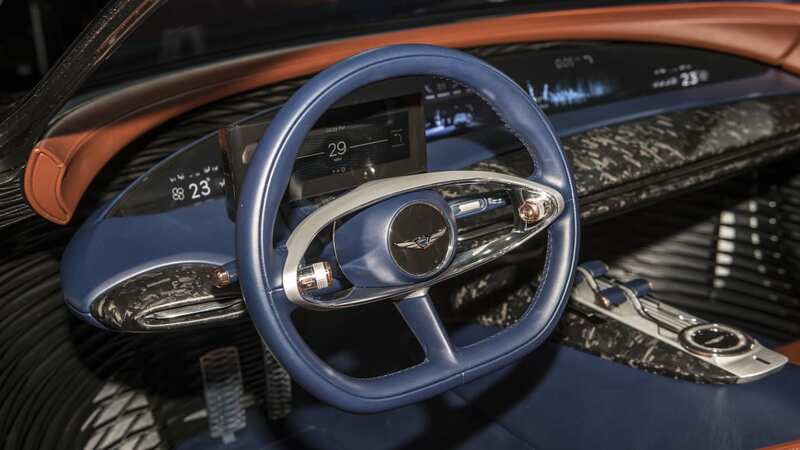 Inside, the Essentia's cockpit wraps around the occupants in a wide arc visually connecting the dash and doors. 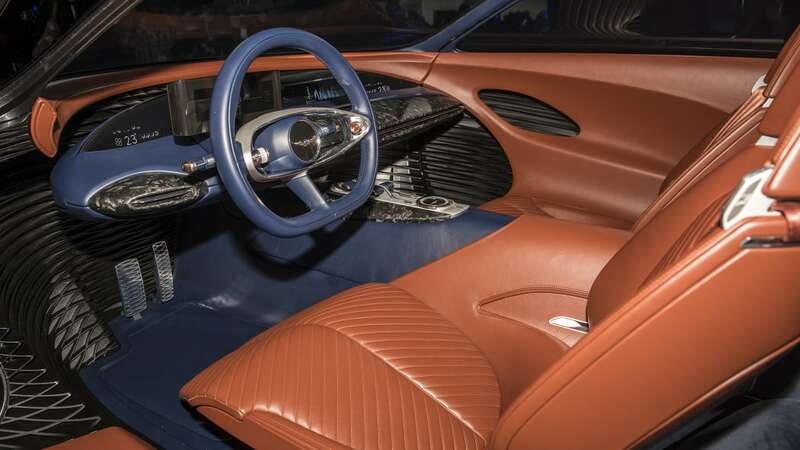 Genesis uses a mixture of different materials throughout, from chevron-patterned leather seats, layered carbon fiber on the dash and center console, and a widescreen display across the dash. 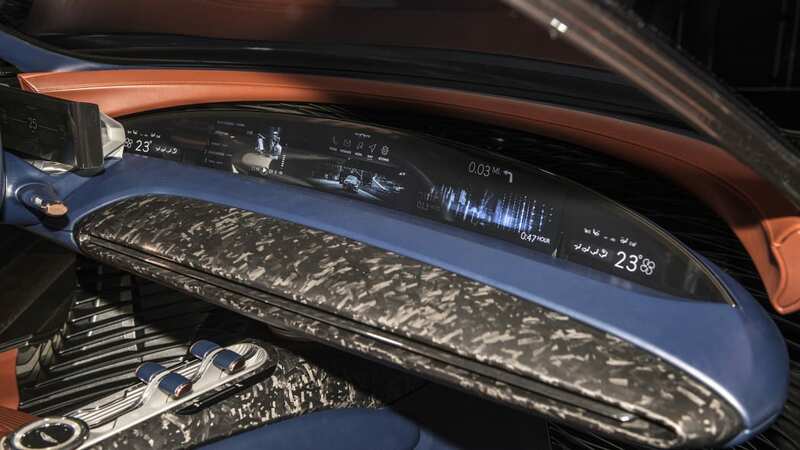 There's also a digital instrument cluster for the driver, surrounded by piano black behind the flat-bottomed steering wheel. 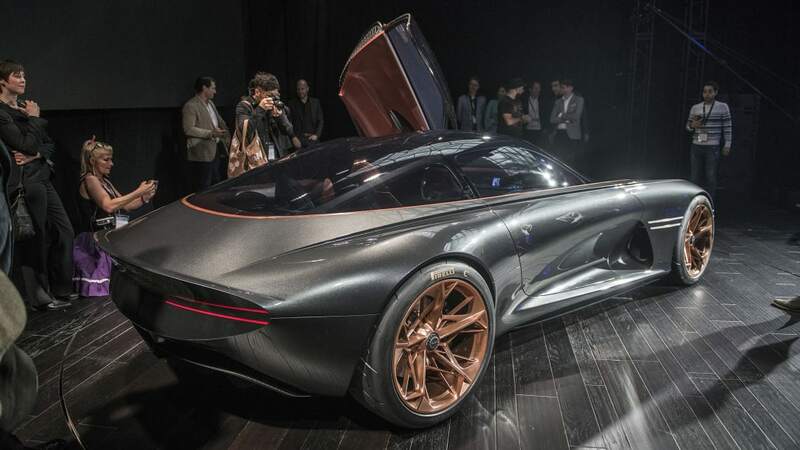 The all-electric Essentia features a "high-density battery pack" powering the multi-motor powertrain. 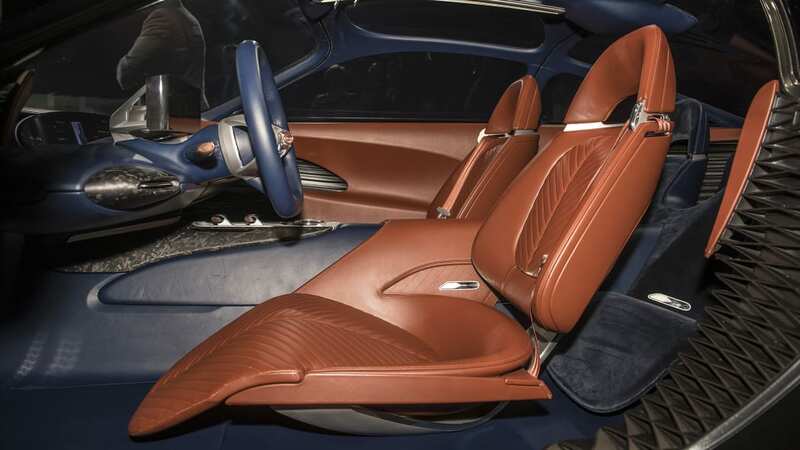 The car departs from the usual under-floor battery pack, instead positioning it the center tunnel running between the seats. 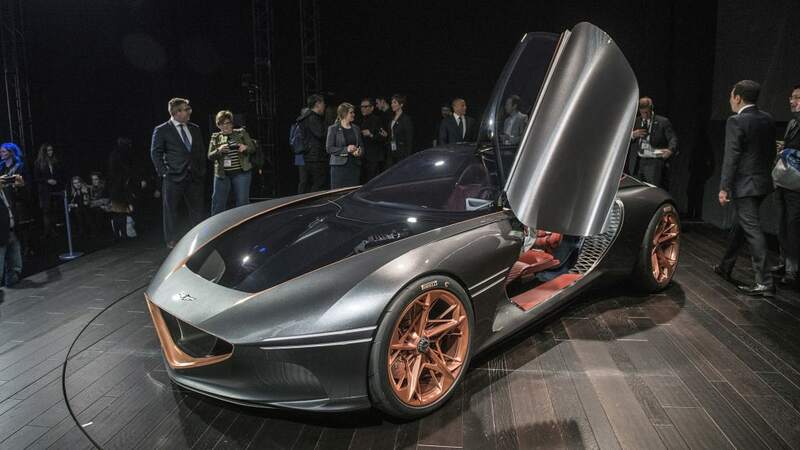 Being a concept car, precise technical details are scarce, but Genesis estimates a 0-60 mile-per-hour sprint of just 3 seconds. 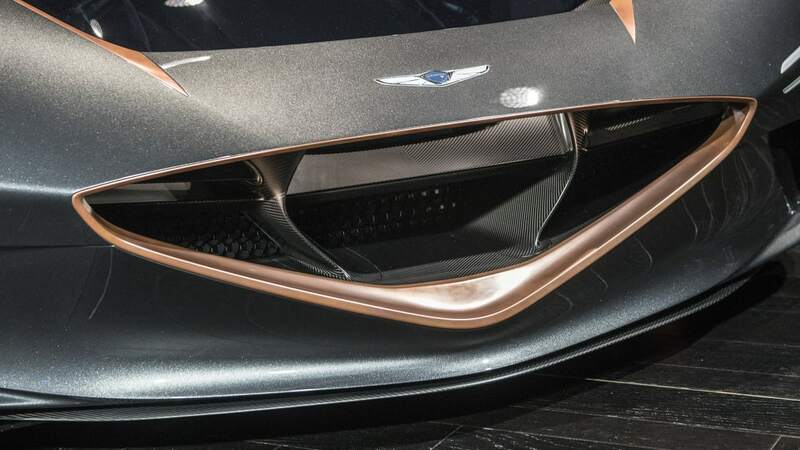 In terms of technology, Essentia previews the future of connected driving with vehicle-to-vehicle and vehicle-to-infrastructure technology. This allows the car to keep the driver up to date with weather and traffic conditions. It can recommend routes not just on efficiency or speed, but also on driver preference based on machine learning. The car can also adapt functions like performance, seat position, audio and chassis settings to match the driver and the particular road. 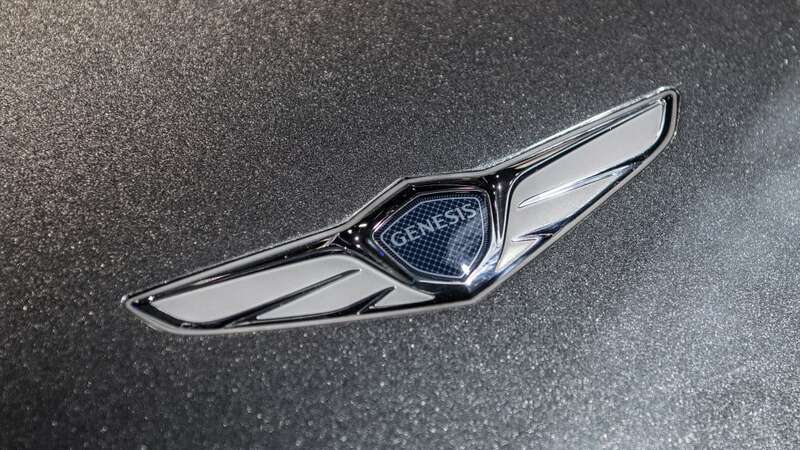 Genesis Intelligent Assistant allows for robust voice control, including connected smart home functions. 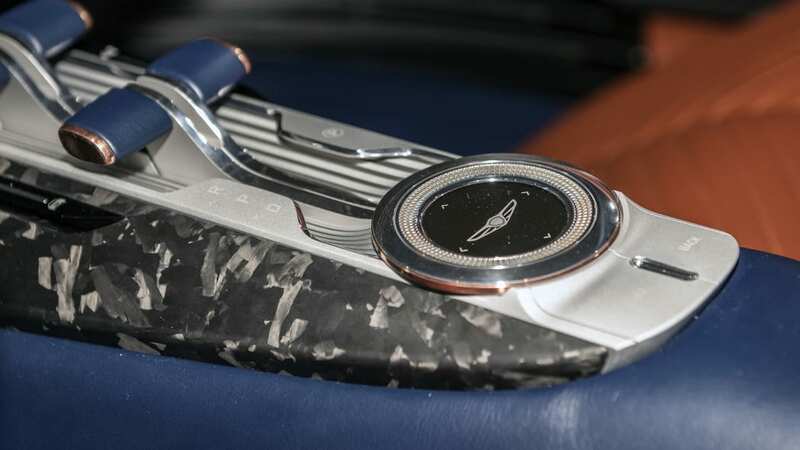 Genesis boss Mandfred Fitzgerald summed up the essence of the Essentia as such: "We understand our obligation as a luxury car manufacturer to create objects of desire, sparking passion and inspiration by emphasizing a culture while exceeding expectations in terms of technology and connectivity, bringing our outside world seamlessly to the inside of the vehicle." 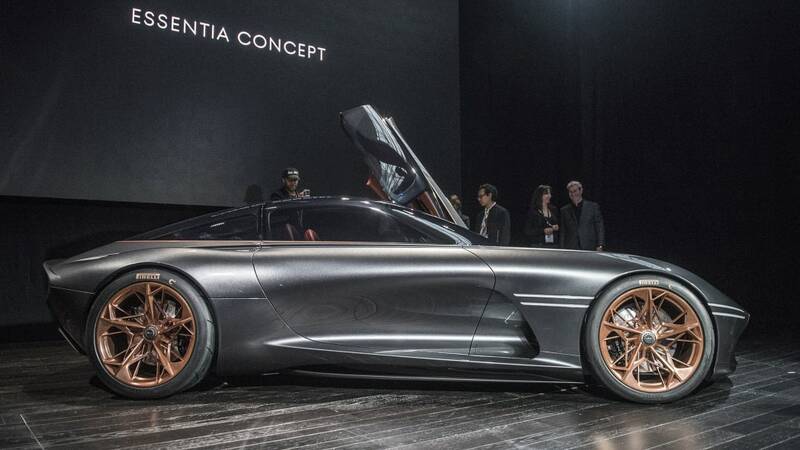 He added, "This is what the Genesis Essentia Concept is all about, and we are thrilled to introduce our interpretation of an all-electric, two-door Gran Turismo here in New York."